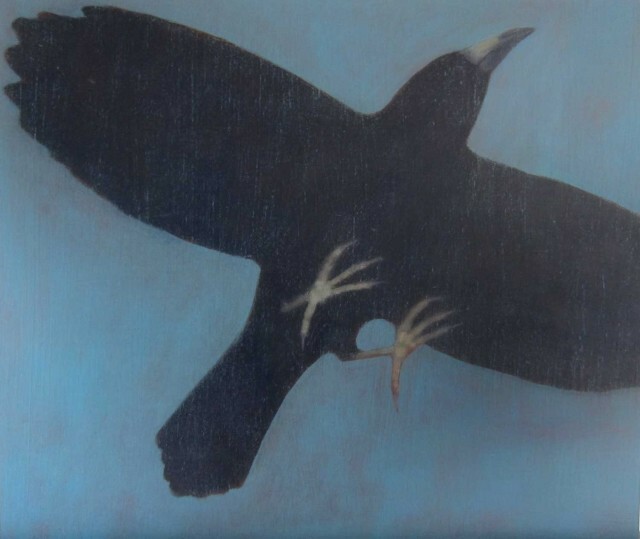 JANE MACNEILL has completed a body of iconic paintings of animals for this exhibition. Here birds are raised to their rightful gold-leafed status. MACNEILL’s technique and ambition has reached a new place with these paintings. These small and week creatures become large and powerful.